Starting a new large commission, back to a full size watercolor sheet! River rocks peeking through running water. No figures or hands in this one for a change 😄. This is similar to my earlier piece, Loyalsock Creek, and as as matter of fact it is the same creek, just a close up, select view. 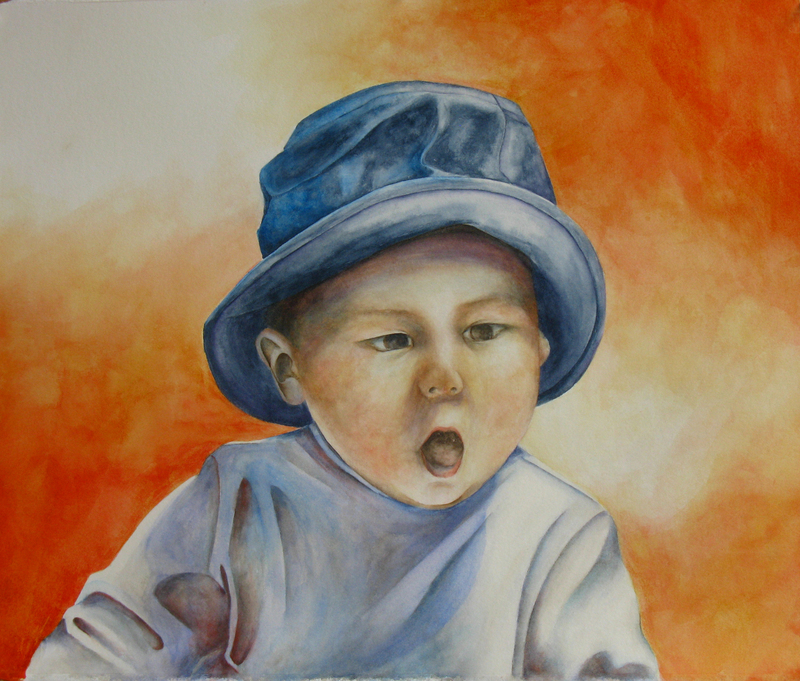 I hope to really play and loosen up with the paint on this one, it should be really fun to do…. Here is the new pic of the painting after some of the changes were done. Thanks everyone for the suggestions! 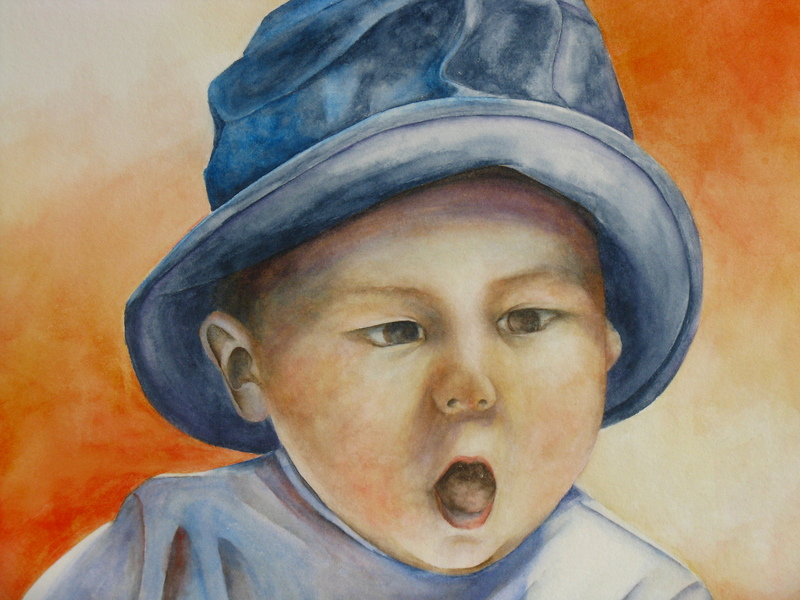 Here is the finished portrait of little Ethan. At least I think I’m done,……any thoughts, suggestions? 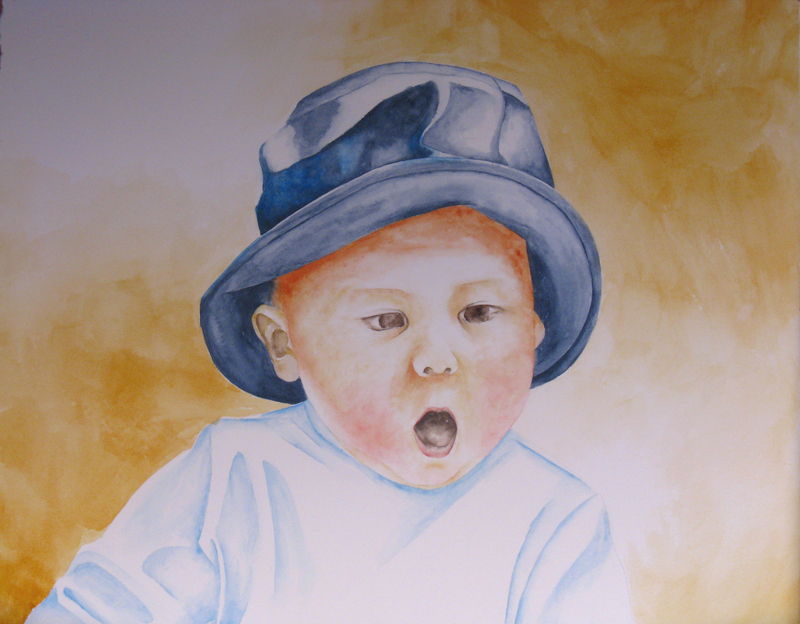 Progress so far on Ethan’s portrait. So far so good, I think………..
It’s done! I’m mostly pleased with the final result. The colors came together nicely and I think it has the feel that I was after. Here is the progress of the final piece. I am pleased with the decision to change the color palette. The feeling that is created is simple and happy,which is what the pose suggests. The finished painting, ready to be delivered. This was the largest piece that I’ve done in a while, and I really enjoyed using the entire sheet of paper. This one was challenging because of the size but it worked out ok in the end. My intention of a sky for the background didn’t work out the way that I thought, but I am pleasantly surprised that I like the purple as much as I do. I am pleased with the progress so far. The different layers of color are blending nicely.